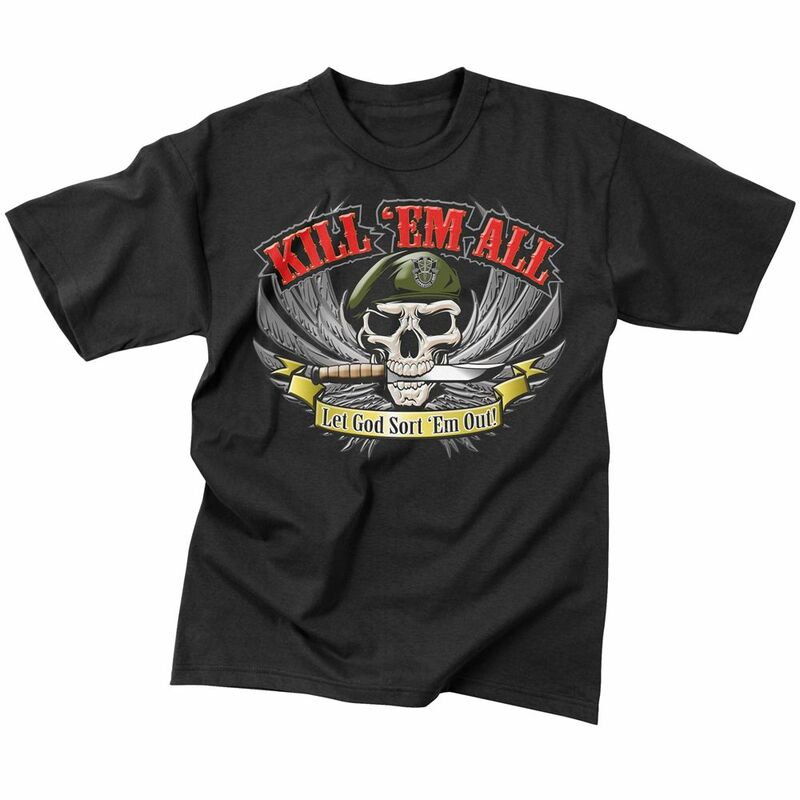 Kill Em All Black T-shirt is a great item in itself. Whether one considers it as a gift item or simply for personal use, this T-shirt is just awesome! Both in terms of look and fit, these T-shirts are good and comfortable. The unique blend of polyester and cotton makes this product look extraordinarily smart and is loved by all. People of all kinds of physique can wear these since a wide variety of sizes is available. This officially licensed Metallica Merchandise can be a great gifting idea on special occasions. These T-shirts are machine washable, which makes them easy to clean and maintain.